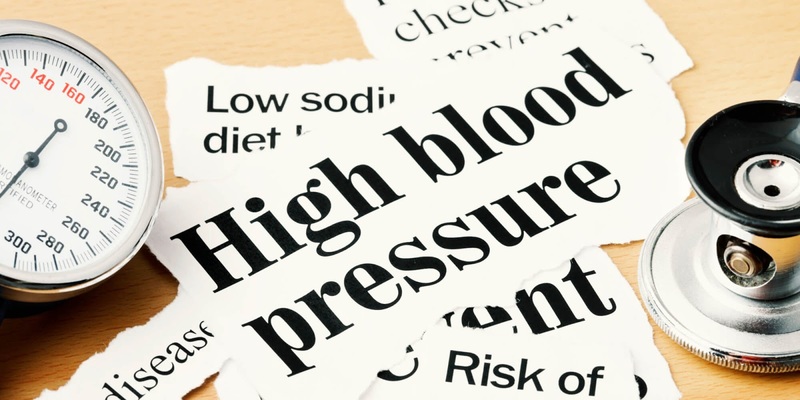 High blood pressure -which also known as hypertension- refers to a condition when your blood pressure remains constantly high. If the blood pressure is on a higher level than the normal, it can lead to heart attack, stroke, kidney failure, and various other health-related problems. If managed well, high blood pressure can be reduced naturally at home. Actually, salt is not the major problem, but its component – sodium. Taking too much of salt will harm you, because sodium tends to disturb the fluid balance in the body. To flush out the excess salt present in the body, water must be drawn from the nearby tissues. The higher the volume of liquid in the body, the more effort the heart has to exert to pump blood and this will eventually result in high blood pressure. Blueberries are one of the known fruits that help curb the effects of high blood pressure. It contains natural plant compounds such as polyphenols and pterostilbene, and these components are beneficial to the heart. Various research studies have highlighted the antihypertensive property of blueberries. It helps in stimulating the production of nitric oxide that aids dilation in the blood vessels, hence lowering the blood pressure naturally. Blueberries are also a good source of fructose; it reduces the blood pressure, but also increases the sugar level. One cup of blueberries contain 1 ½ teaspoon of sugar, so do not overeat berries. Foods like avocado and melon negate the effect of sodium and protects against high blood pressure because they contain potassium. Coconut water and bananas are also foods that contain potassium and helps control high blood pressure. Coconut water can be added to your smoothie in the morning; this will supplement your low potassium levels and bring down high blood pressure as well. There is more to this acrid seasoning than just adding flavor to your food. Garlic is responsible for controlling high blood pressure. According to a study, it has been proven that Garlic can cut down the diastolic and systolic blood pressure. Garlic assists in dilating the blood vessels in the body, which aids the reduction of blood pressure. Garlic contains a compound called Adenosine, which a muscle relaxant and helps in vasodilation. Whether consumed in raw or cooked form, garlic can help cure your high blood pressure at home without using medicine. According to medical experts, consuming garlic in its uncooked form is far more beneficial and works faster. Garlic can also reduce cholesterol. Can Pumpkin leaves be used as a blood tonic? Read more here. Regular intake of alcohol can raise your blood pressure. According to a survey, alcohol is the main reason for the rising blood pressure cases across the world. It is advisable to limit your alcohol intake. Men should not take more than two alcohol drinks per day and women should limit themselves to only one drink per day. In case of women, daily alcohol use also increase the risk of breast cancer. Read the post about the 7 signs that shows you are drinking too much of alcohol. A. Stretching - this will make you feel flexible and helps prevent common injuries. B. Aerobics - this help in lowering your blood pressure and it is good for the health of the heart. C. Strength training - this can help you build strong muscles and also assists in burning more calories during the day. - Listen to cool music. - Relax well during work. - Engage in meditation and yoga. - Spend quality time with your friends and family members. Is cucumber among the food that can cure high blood pressure naturally? See benefits of cucumber here. Disclaimer: This post is for educational purpose on ‘How To Cure High Blood Pressure Naturally and Quickly’ at home. However, you should see your doctor immediately for proper diagnosis and better treatment.